Azerbaijan suffered a massive, country-wide blackout after an explosion at a power plant this week, leaving much of the population without power on July 3 and 4. The power failure quickly became a political issue as questions arose about the ability of the rapidly developing, oil-rich state to provide its people with basic modern conveniences. The blackout began late at night July 2 after an explosion at a power station in the northern city of Mingachevir. Officials with Azerenergy, the state electricity company, said the cause was high use of air conditioning, which led to a power surge; the temperature in Baku on July 1 reached 43 degrees Celsius (109 F) and on July 2, 38 degrees Celsius (100 F). While the electricity supply was partly restored the following morning, there were more blackouts on July 4. The outage appeared to have affected most of the country; official announcements said that 39 cities and districts across the country lost power. Service on the Baku metro – which transports an average of half a million riders a day – was suspended on July 4, as officials said the power supply was too unstable. City officials provided additional buses, and waived transport fees, to help mitigate transportation difficulties. Before metro service was suspended, however, there were panicked scenes on July 3 as the system lost power while it was operating, forcing people to escape by walking through the tunnels. The state energy company SOCAR reported “temporary interruptions” of its drilling operations due to the blackout. 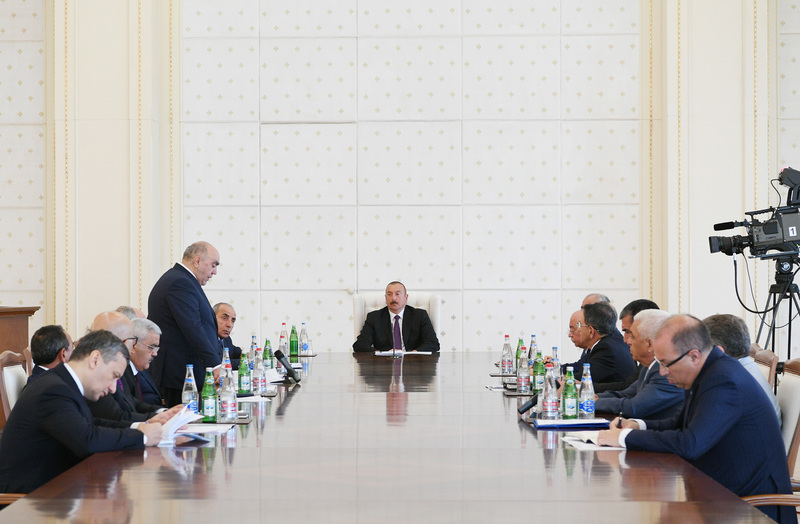 President Ilham Aliyev set up a government commission to investigate the cause of the blackout. Kamaladdin Heydarov, the minister of emergency situations and a member of the commission visited Mingachevir on July 3 and 4, local media reported. To help cope with the power outage Azerbaijan began importing electricity from Georgia and Russia – 86 megawatts and 200 megawatts, respectively. Azerbaijan has invested heavily in its electricity infrastructure, about $5 billion in the last 14 years, said Ilham Shaban, head of the Baku-based energy think tank Caspian Barrell. Finland's Wartsila has built seven power plants in the country, with a total capacity of 860 megawatts, since 2005. Germany's Siemens built a 524-megawatt plant in Sumgayit, and Azerenergy itself built a modern 780-megawatt plant in Shirvan. And yet, “a power outage like this has never before happened in the history of Azerbaijan,” Shaban told Eurasianet. Political recriminations were quick to follow. While grumbling on social media was widespread, pro-government groups hit back. The Youth Union of the ruling New Azerbaijan Party called government critics “traitors” on its Facebook page. During the power outage, the mayor of Ganja, Azerbaijan's second city, was shot and both he and his bodyguard were hospitalized. The presidential administration blamed “opposition circles” – which it did not further identify – for taking advantage of the crisis to commit the attempted assassination. “Unfortunately, some opposition circles – through news websites and social networks they control – have sought to take advantage of the accident at the Mingachevir Thermal Power Station and an armed attack on an official in Ganja region and tended to create a stir in society, cause mass dissatisfaction and disrupt stability in the country, acting contrary to the interests of the state and the nation,” the statement said. Aliyev himself cast doubt on Azerenergy's claim that heavy air conditioner usage was to blame for the blackout. He noted that in countries where temperatures are even higher, such large-scale accidents don't happen, “and even if they do happen, the energy system of the country isn't paralyzed,” the president said on July 5. Azerbaijan's Prosecutor General, Zakir Garalov, said on July 5 that charges including negligence and abuse of an official position were being brought against Pirverdiyev. In a bit of ironic timing, the day before the blackout, British energy giant BP announced that the consortium that it leads had started shipments of gas from the Shah Deniz II field to Turkey, part of the Southern Gas Corridor that is aimed at improving Europe's energy security. Durna Safarovna is a freelance journalist who covers Azerbaijan. 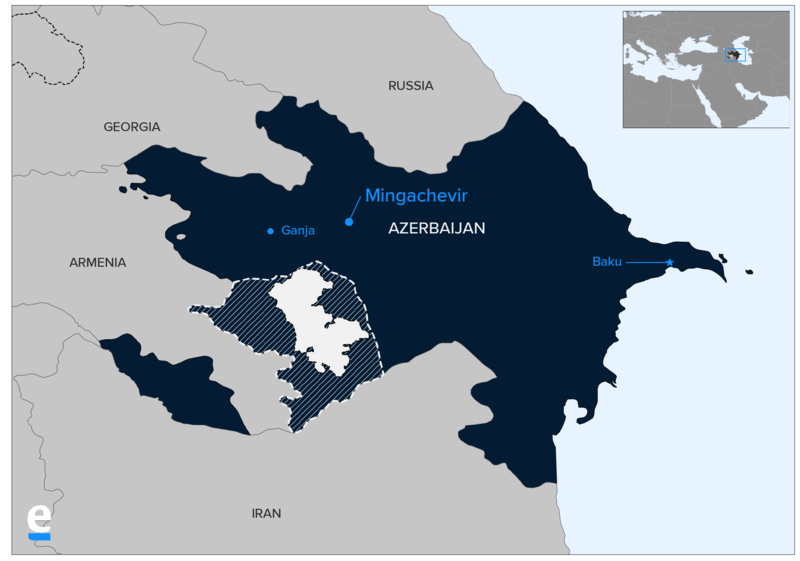 Correction: This story initially reported that the explosion in Mingachevir happened at the hydropower plant there. It was at the town’s thermal power plant.